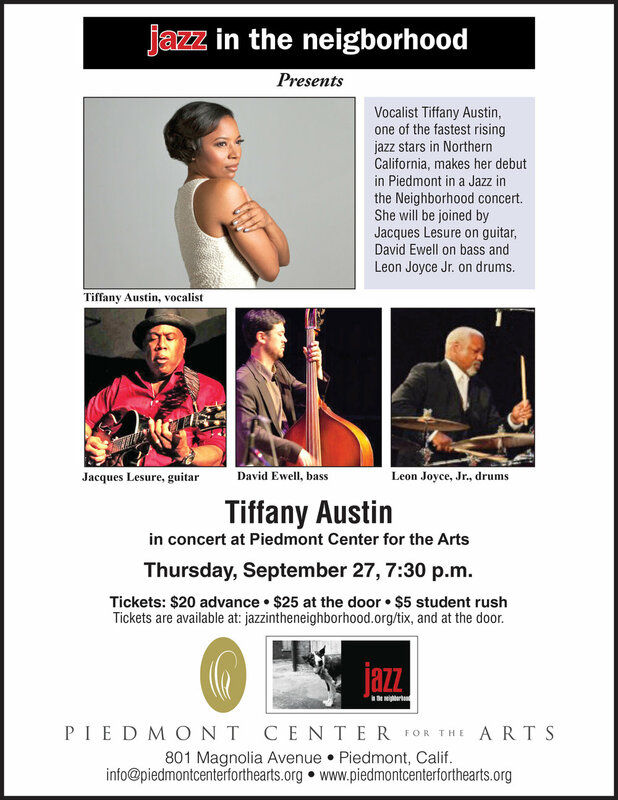 Vocalist Tiffany Austin, one of the fastest rising jazz stars in Northern California, makes her debut in Piedmont in the opening concert of Jazz in the Neighborhood’s 4th season at the Piedmont Center for the Arts. The concert will be on Thursday, September 27 at 7:30 p.m.
She will be joined by Jacques Lesure on guitar, David Ewell on bass and Leon Joyce Jr. on drums. Tickets are $20 in advance and $25 at the door. Student rush $5. For tickets, see: jazzintheneighborhood.org/tix.